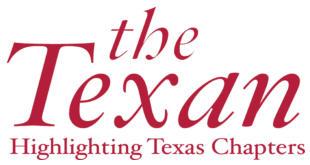 The Texan is designed to highlight the efforts of the chapters in the Texas Region. Please submit articles to texan@txptk.org. The Communication Award (awarded at the Texas Regional Convention) is awarded mainly on a chapter’s submissions to the The Texan. Help us highlight the amazing work that you are doing! Alpha Zeta Eta Finds a New Fundraising Opportunity! As the Fall semester begins, the college is brimmed with students navigating their way to their classes. With merciful Professors giving extra window time to enter their classes, the new students and the old alike begin their academic journey. Though this may be experienced at most colleges, here at North Lake College, the story was different. It is the legacy that Phi Theta Kappa’s North Lake College chapter Alpha Zeta Eta, ardently maintains with the Follett Bookstore for the past three years. Being directly engaged in the community is an integral part of today’s society. Community service involvement builds crucial leadership experience for those who partake in it, and the community benefits through the services provided. Our Chapter, Alpha Zeta Eta, is heavily oriented with service and faithfully serves the community through projects. This summer, we are participating in a service project for the City of Irving and Irving-Las Colinas Rotary Club called Flags Over Irving. The Community Garden is located at North Lake College central campus. Because of its location, the garden becomes a favorite spot for students to enjoy a peaceful environment and the beautiful views of the college and its lake. This garden is taken care of by officers and members of Phi Theta Kappa Alpha Eta Zeta Chapter with help from other faculty and staff. In partnership with the Alpha Mu Tau chapter at Collin College, North Lake College’s Alpha Zeta Eta officers, Magui Mijes, Pascal Bakari and S.M. Gibran had an extraordinary opportunity to prepare and present an Honors in Action (HiA) workshop at the 2017 Texas Honors Institute. The workshop was primarily focused on Service and Advocacy as it pertains to HiA. Becoming an officer of Phi Theta Kappa is an important accomplishment and incredible milestone requiring a considerable amount of responsibility. At North Lake College in Irving Texas, our officers attend a 4-day training, hosted by our Texas Region Alumni Association trainers. All the Chapters in the Dallas County Community College District (DCCCD) are invited to attend this free training where we learn about leadership duties, goal setting, calendar planning, Honors in Action, College Project, and team building, just to name a few. It is a chance to meet new people, make new friends, learn, and bond. If there’s anything I learned from being an Officer of Phi Theta Kappa, it’s how crucial research is for Honors in Action. The research that we do is based on the Honors Topic “How the World Works, Global Perspectives” allows us to delve into thinking from an international perspective and find needs in our communities. Our Earth, the Mother Nature, provides us with many blessings, every day, without asking back. Mountains, trees, animals, the beautiful sky, oceans, lakes; are some of the thousands of things our Earth has given to us. However, over the years, we have taken much advantage of the free blessings and gifts given to us. Our acts of not giving back led to a major unavoidable disaster – Global Warming.